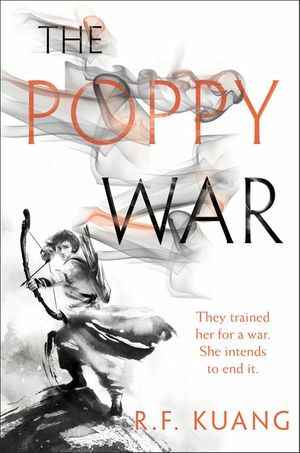 Three times throughout its history, Nikan has fought for its survival in the bloody Poppy Wars. Though the third battle has just ended, shaman and warrior Rin cannot forget the atrocity she committed to save her people. Now she is on the run from her guilt, the opium addiction that holds her like a vice, and the murderous commands of the fiery Phoenix—the vengeful god who has blessed Rin with her fearsome power. Though she does not want to live, she refuses to die until she avenges the traitorous Empress who betrayed Rin’s homeland to its enemies. 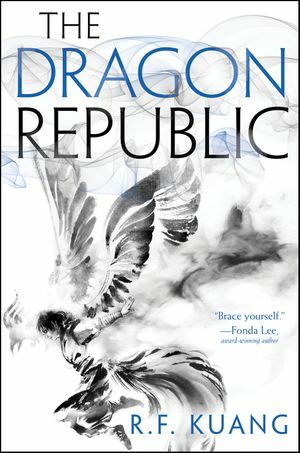 Her only hope is to join forces with the powerful Dragon Warlord, who plots to conquer Nikan, unseat the Empress, and create a new republic. But neither the Empress nor the Dragon Warlord are what they seem. The more Rin witnesses, the more she fears her love for Nikan will force her to use the Phoenix’s deadly power once more. Because there is nothing Rin won’t sacrifice to save her country . . . and exact her vengeance.